A few months ago I posted a picture on instagram (@superheroesinSPED) of the coffee cart in my classroom. 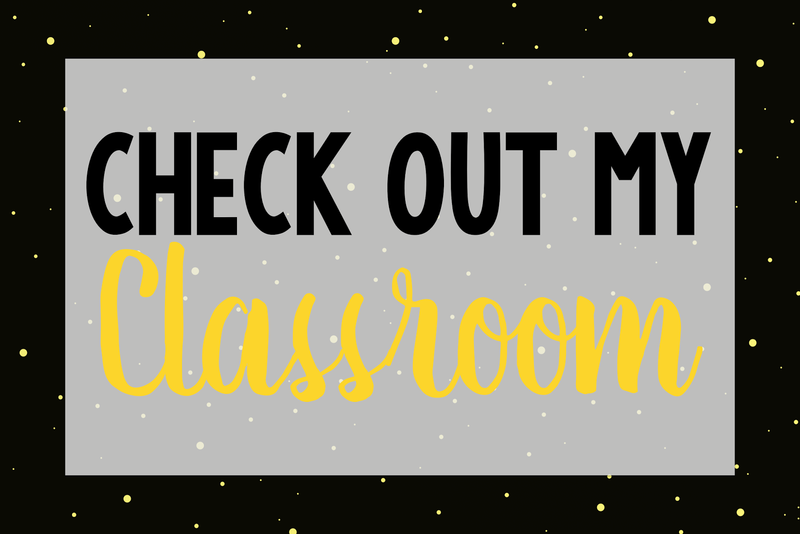 I got a ton of questions and requests asking for details of how I implement this in my classroom! I currently teach 3-4 grade life skills. We are just beginning to dabble in vocational tasks outside of safe cooking and file folder activities. I was really excited to get a coffee cart started but I'll be honest I didn't really know how to begin. Where do I get all the materials, will this is more money to start up then I am willing to spend.....well the east answer to that is yes it is a lot of materials and yes it CAN be really expensive. I say can because you can also be thrifty like me! I started with obtaining a grant thru my school to get a nice cart, a ton of creamers, sugars, coffee cups, lids....it was amazing! I was planning on using most of that money to buy the coffee makers and coffee but I have a generous parent who loved this idea and donated a coffee pot (my para donated the other) and she sends in so much coffee for us each week! Next, I decided how often the coffee cart would be open, I mean we still need to teach reading and math right!?! I personally decided to open shop once a week on Fridays to the staff in my building for .25 cents a cup. 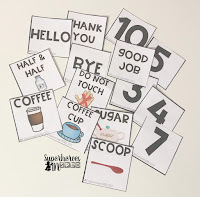 The teachers LOVE this and are so excited to have my students arrive at their door with a steaming hot cup of coffee. 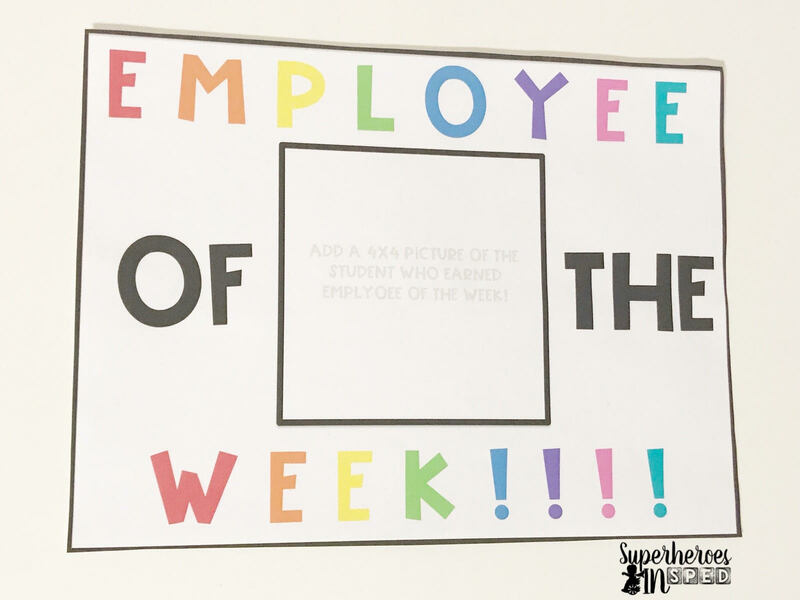 I make sure to let the staff know this money goes into the students "paycheck" and to purchase coffee cups. This money is not for classroom supplies. The students paycheck is my favorite part of the coffee cart! I was told over and over again by parents in many different meetings how difficult going into the community and shopping can be. Their children want to buy all the things! So once a month we take a field trip to the local grocery store to buy our cooking supplies for cooking lessons and then we walk down to the Dollar Tree, which is in the same complex) to buy something with their paycheck. 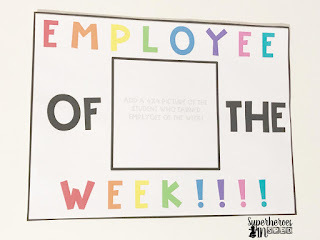 The kids LOVE this and it truly connects working hard ---> Earning money ---> buying fun stuff! So let's start back at the logistics of it all! On Thursdays I send out a google form to the staff in my building. This is the easiest way to get the information to the teachers and get their orders to me. Before school on Friday I write the teachers orders on each cup. Then we start making the coffee. During this step we use ALL.THE.VISUALS. 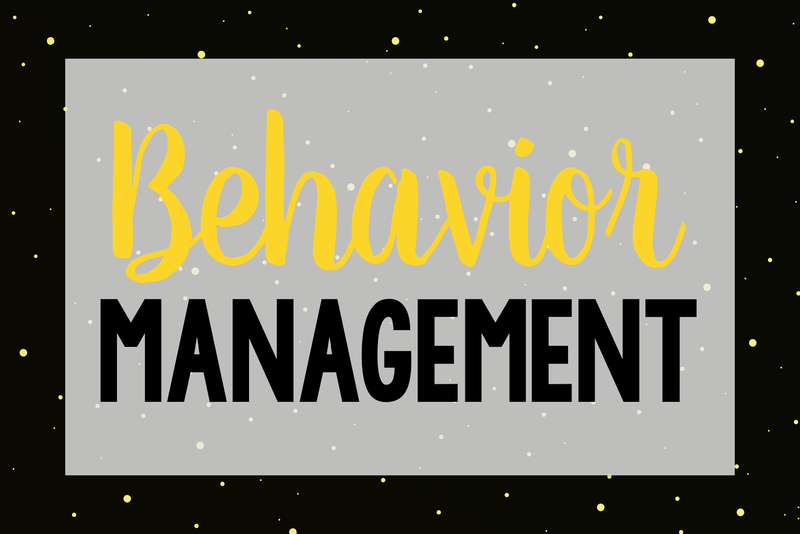 Using visuals in the classroom are so important no matter what you are doing to implement independence and decrease prompt dependency. My school is a studio setting and each studio is assigned a color. We use the colors to sort the cup into first floor and second floor. 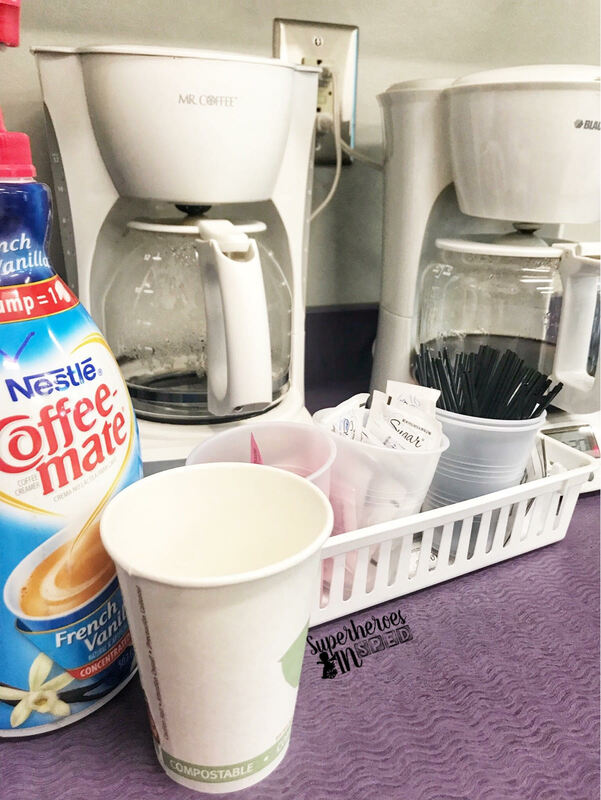 An adult in the room fills the coffee cup and the students then add cream to the coffee (I like to use the creamers with pumps). I also want to note that I use coffee pots for this for three reasons. 1. They were donated to me 2. They make much more coffee at once 3. It is less expensive to purchase bags of coffee as opposed to kurig pods. Now we are off! 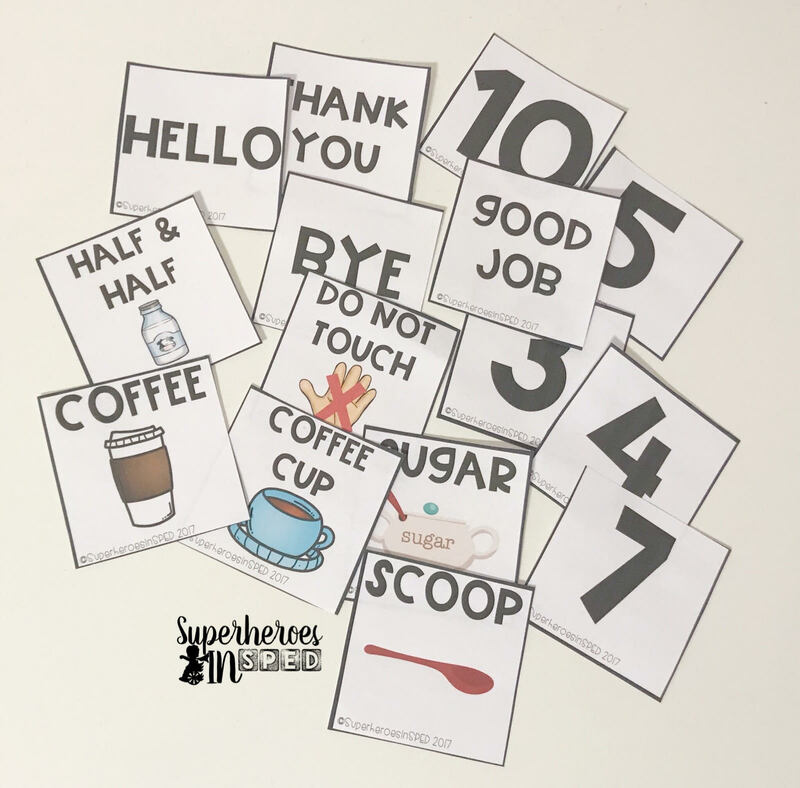 we deliver the coffee to each teacher, asking for payment, and working on so many different speech skills. Students that use AAC devices get an opportunity to have conversations with people outside the classroom. Again I use visuals to help prompt verbal interactions while limiting verbal prompts! When the students are done passing out their coffee they are able to work on the important life skill of cleaning up! We do the dishes and put all of our materials away until next week. Here is a ittle preview of what is included in this pack! Employee of the Month/Week. This is a HUGE motivator for the students in the classroom. 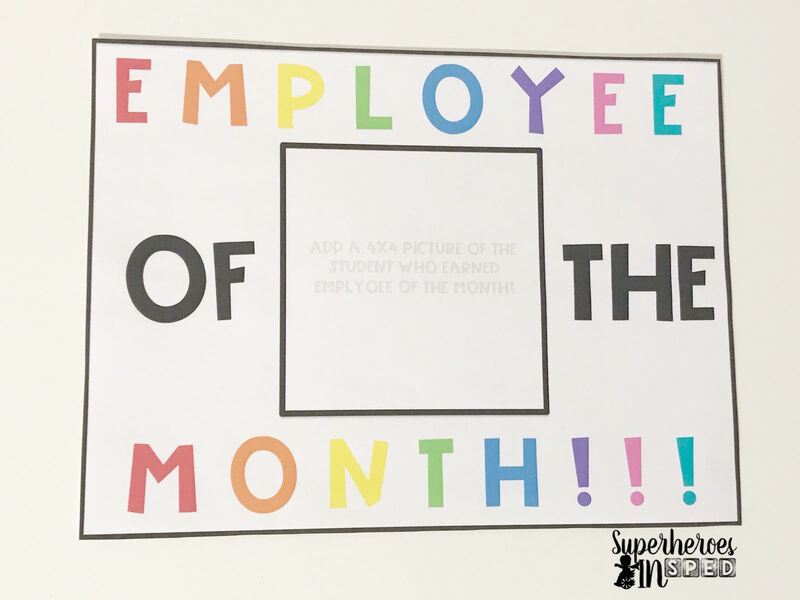 I also like to use this in place of student of the month. 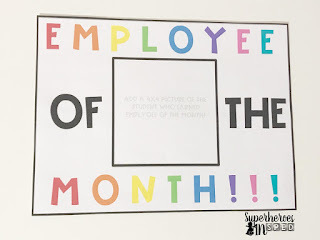 I try to keep things as age appropriate as possible and typical 3-4 grade classrooms often do not have student of the month! 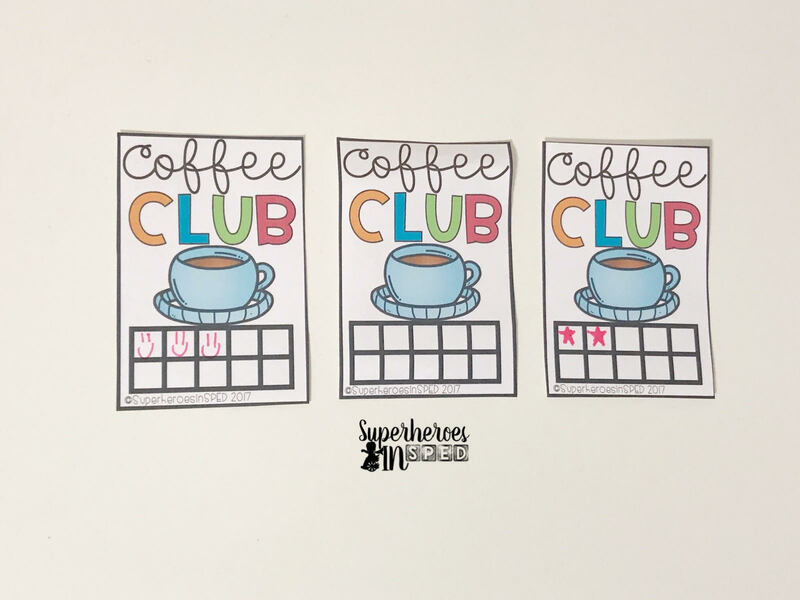 Another great way to facilitate conversation while delivering the coffee is giving out coupons and implementing a coffee club. We like to give out coupons randomly and on holidays! 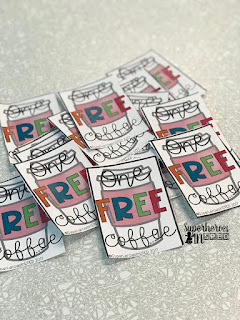 The teachers loved getting the a free coffee coupon on the last day before winter break! 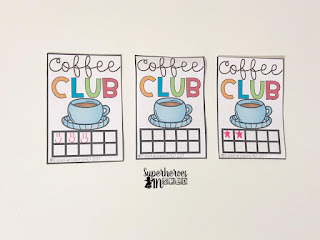 The teachers are also given a coffee club coupon. 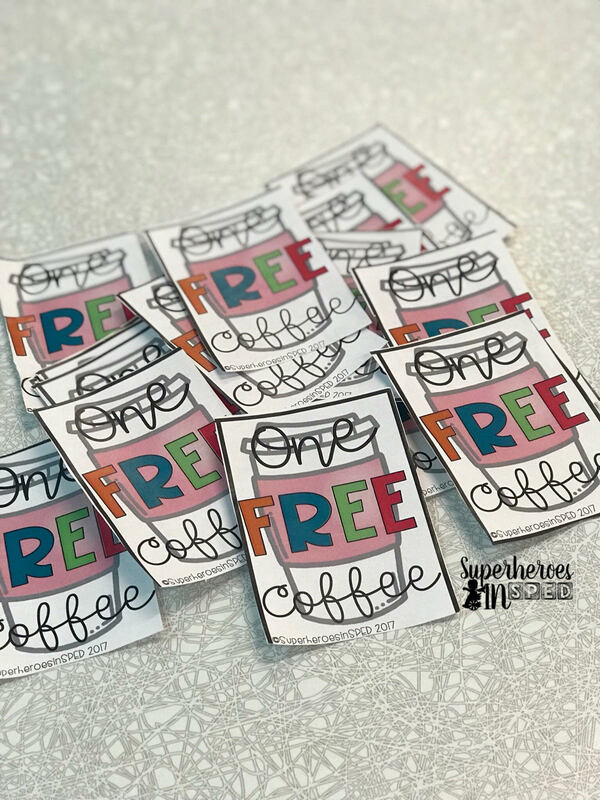 They hand this to the students each week and once they buy 10 cups of coffee the next one is free! 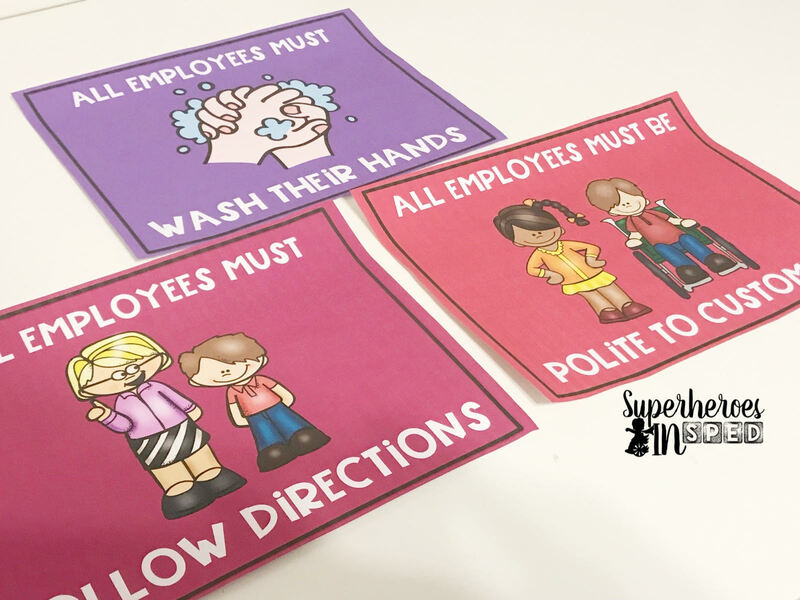 This product also includes a tutorial for google forms, a non editable order form if you do not have access to google forms, visuals (as pictured above) and a social story to help the students learn how to work at the coffee cart! 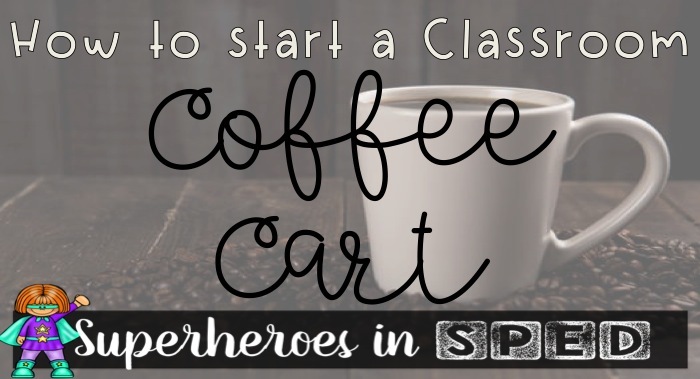 There are also a TON of other bloggers who have talked about a coffee cart in their classroom. I personally love Brie from Breezy Special Ed's post! 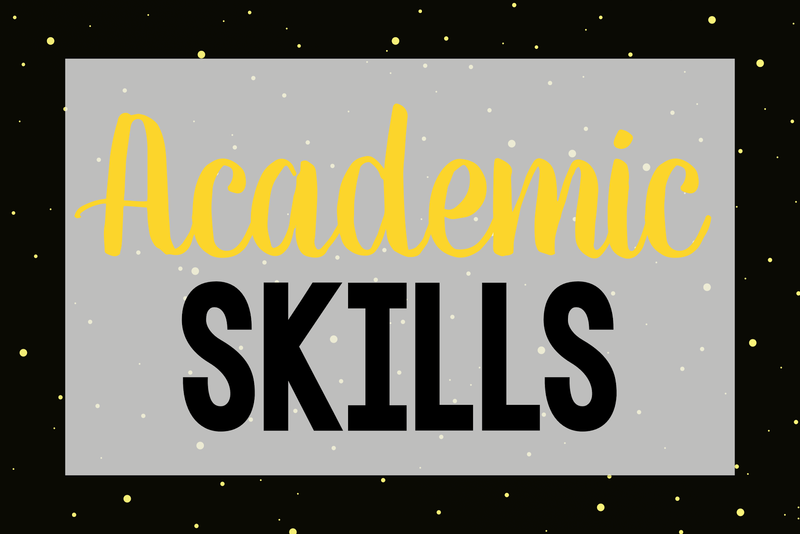 She is the queen of high school life skills so make sure to check her post out here to learn more! How do I purchase this pack?